Learn basic html so you can build your own website. HTML is basically a programming language. Everything is made with tags. You will always have an opening tag <h1> and a closing tag </h1>. The information on this page is a basic overview, take a look at the w3c school's tutorial on basic HTML to get a more in depth look. To link a contact us page to your index.html page (also known as your home page), you would put this in the html code <a href="contact_us.html">Contact Us</a> if you wanted that page to open in a new window you would add target="_blank" so it would look like this <a href="contact_us.html" target="_blank">Contact Us</a>. To add a website link to your site the code looks like this: <a href="http://www.signupandmakemoney.com" target="_blank">www.signupandmakemoney.com</a> Whenever adding a link it is always important to include http:// so the web link will work properly. To add a picture to your site and center it the code would look like this: <img src="cat.jpg" align="center" />. The paragraph tag is <p></p> to bold text is <b></b> to put a break in the text (like hitting the enter button on keyboard) you would use <br /> tag. 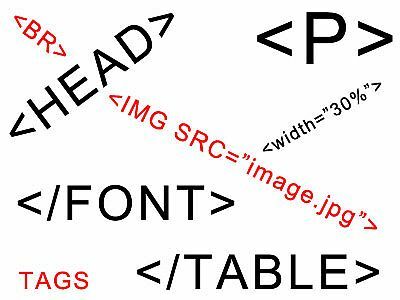 There are some examples of using html coding. What I recommend you do while you build your website with My Free Website Builder is to hit the source tab from normal view so you can actually see what the html code looks like behind the scenes. When adding an affiliate banner to your website, know that you cannot add it in plain view. You must add the banner in html view. This is because the plain view is WYSIWYG (What You See Is What You Get) HTML view on the other hand is where all coding should be placed. Most web design software has a split view so you can see your HTML code and the plain view at the same time. If you are not familiar with HTML, this will help you know where you are placing the banner in plain view. If you are interested in continuing to learn more about html I would recommend either getting a book on html or taking a college class. If you have questions about html or you are having trouble getting something to look the way you want on your site, don't hesitate to contact me anytime! Learn some basic HTML so you can build a website of your own.